Following the recent update from the Ministry of Defence, Thompson Smith and Puxon Residential Property Lawyer, Nadine Parker-Stamford, discusses the extension of the Forces Help to Buy Scheme (FHTB) to the end of 2018. 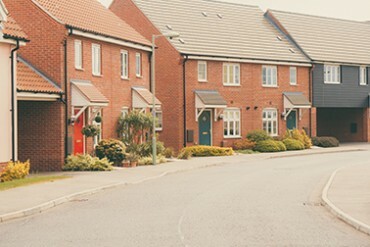 The Forces Help to Buy Scheme was launched on 1st April 2014 for an initial three year pilot, and was introduced to help the thousands of service men and women wishing to buy their own home as an alternative to living in service accommodation. It largely replaces both the Armed Forces Home Ownership Scheme (AFHOS) and Long Service Advance of Pay (LSAP) scheme, and is considerably more generous than either of these. The FHTB Scheme has now been extended to the end of 2018. However that is subject to review on 1 August 2018, and there is also no guarantee that this interest free loan will continue to be available beyond 2018. If you’re thinking of buying property, make the most of FHTB while it lasts! FHTB allows qualifying service men and women to borrow, interest free, the lower amount of either 50% of their annual salary (including all forms of Recruitment and Retention pay) or £25,000, which will be repaid through their monthly salary over 10 years. This can be used to buy your first home, or move to another property as your circumstances change. It’s important to note that should an existing property be sold and FHTB be used on your new property, the allowance from the FHTB may be capped. What can Forces Help to Buy be used for? The FHTB scheme can be used for the purchase deposit and for all fees associated with moving house, such as estate agents, land registration and solicitors fees. Am I eligible for Forces Help to Buy? The scheme is available to regular Armed Forces Personnel who are first time buyers and those who may need to move due to a change in circumstances. If you’re considering buying your first home through the Forces Help to Buy Scheme you can apply for the loan online through the Joint Personnel Administration system. It’s important that you check with your mortgage provider that they support the FHTB scheme before you commit to them. You can find more information about the recent changes on the official Gov.uk website here. If you are a first time buyer you may be unfamiliar with the processes involved when buying a house, so please contact the Residential Property team at Thompson Smith and Puxon for more information and advice on 01206 574431 or by email at info@tsplegal.com.